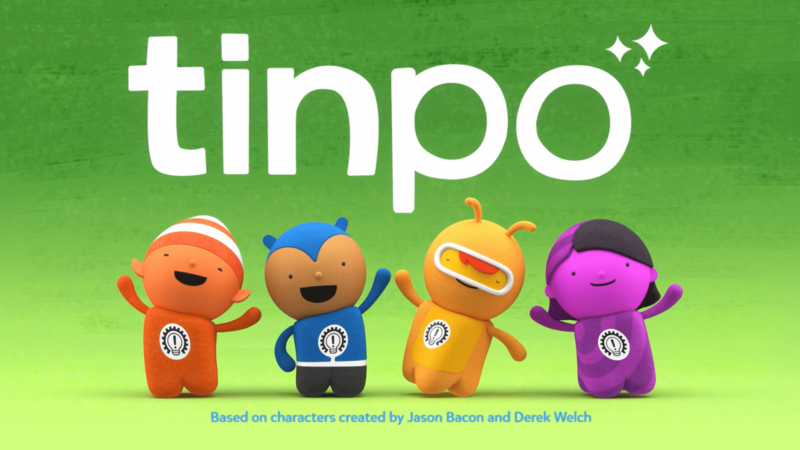 Making it’s premiere on Cbeebies in December 2018, Tinpo is a great new show produced by Cloudco Entertainment, OLM and Dentsu Japan and written by Davey Moore (Thomas & Friends) and Emma Hogan (creator of Nelly & Nora), with brand new episodes showing from Monday 28th January 2019. 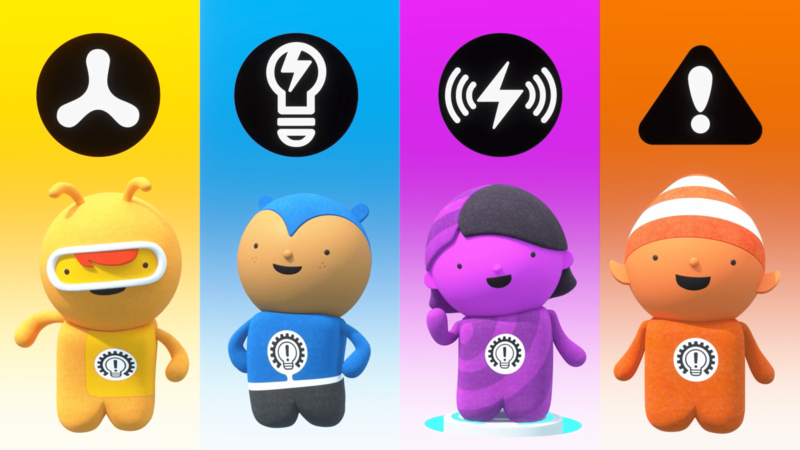 It stars Team Tinpo made up of 4 creative inventors Tinpo, Doug-Po, Logi-Po and Hack-Po as they help out the residents of Tinpotown. Each episode is 7 minutes long, which I find is a great length for holding S’ attention and him focusing on what is happening in the show. Each episode Tinpo and his team are called on my a resident of Tinpotown to help them solve a problem. The team work through options together asking ‘What if we tried this…? and try to solve the problem in a number of ways. Usually it takes them a few attempts to find the right solution, which helps to show children that you don’t always find the solution to problems straight away but to persevere and not give up. What I loved about this show was that it encourages children the think outside the box and look for new ways to solve problems. The solutions the team come up with are always very creative and show that with a little imagination anything is possible, coming up with various trial and error constructions and inventions to solve the problem. S loved the cool look of the Tinpo Train the team use to get out and about in Tinpotown. For the purposes of this review we got a sneak peak at some of the new episodes, 11-15, and here’s a little sneak peak at what you can look forward to seeing. Granny Po calls on Team Tinpo to help with a family of ducklings stuck on her roof, who need to get down safely. This time a lost dog needs the help of Tinpo and his team after following the pizza delivery man from his owners apartment. With lots of apartments in the same block the team need to come up with a creative way of quickly finding the dogs home, who’s desperate for his dinner! With a leak in their own home, how can they stop the drip coming through the roof? Tinpo has a surprise for the rest of the team, he has created a rooftop beach for them to enjoy the sunshine in. But as the clouds roll over and block the sunshine, how will the team get the warm sunshine back over their beach. It’s a very windy day in Timpotown and one of the Po’s need their help, it’s so windy he can’t get to the door of the kite shop on a perfect kite flying day! Team Tinpo work together to solve the problem for the Po, and the shop owner who says he never manages to sell kites on the best kite flying days as no one manages to get into the shop! 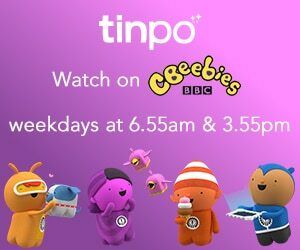 You can catch episodes of Tinpo on Cbeebies weekdays at 6.55am and 3.55pm. 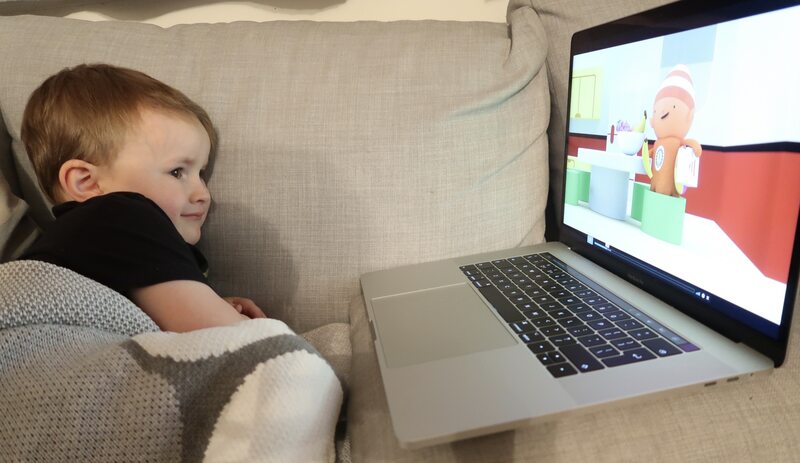 You can also catch up on previous episodes over on the iPlayer or iPlayer for Kids app, which S loves to use to catch up on shows during the drives to and from nursery as you can download episodes for when you don’t have any internet connection! 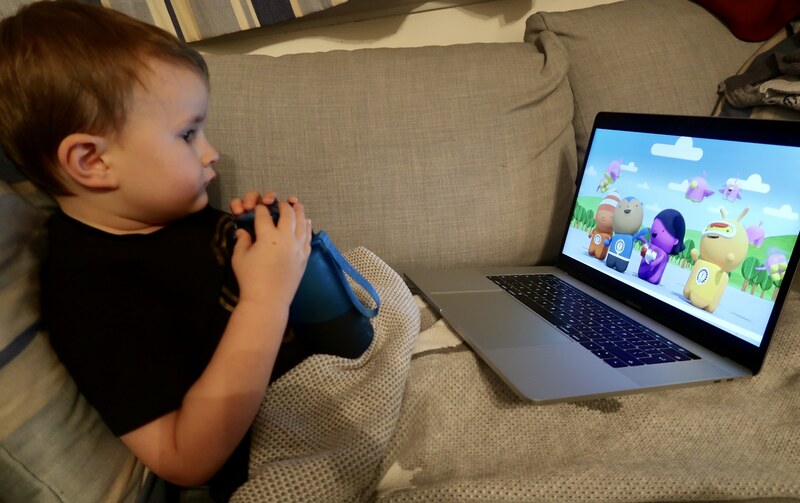 After watching the preview of the new episodes, S has now been watching the previous episode through the iPlayer for Kids app on his tablet!